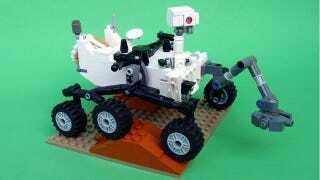 Curiosity Rover Soon To Be a LEGO Set! Hey, remember this gem? Well it's been approved by LEGO to become a real set and is projected to be released in January 2014! Other details still forthcoming. Help me ODeck! You&apos;re my only hope!